We love playing games, the four of us together sat around the dining table playing our favourite board game. While there are a few games we can play on consoles, like MarioKart, there aren't many games on, say, the iPad, that we can play as a family. But that is all about to change thanks to a brilliant new game from Crash Lab called Best Guess. This is a game we can play together while passing around an iPad or iPhone and answering questions, or at least guessing at the answers! Game of Life, Monopoly, Catan, and Carcassonne are all games we have played together as a family and we love all of them. Playing board games has become a thing we all enjoy doing and I'm sure it will continue as the boys grow older. We've introduced the boys to games we played as children, like Monopoly or Scrabble, and together we've discovered new games like Catan and Carcassonne where we learn as we play. Best Guess allows you, as a family, to form teams and play against each other. You could do adults against children, boys against girls (unfair - I'm the only girl! ), or choose your teams. Once you've decided what teams you have you can start the game, and it's really simple. Other categories include Musical Mayhem, Spectacular Space, and many more! Decide which team goes first and answer the question on screen by typing in the number and tapping enter, there's no need to know the exact answer just type in your Best Guess. The other team can now steal a point by guessing 'higher' or 'lower' than your answer. You don't have to know exact answers (although you'll probably win if you do! ), the Best Guess wins the point. This is part of the reason I think Best Guess is a great game to play with your children. They can guess at any of the questions and more often than not they'll probably win. They may even learn while they're playing the game, there are so many facts in this game that's it's hard not to learn! Imagine, you've just had Christmas Lunch and everyone is relaxing on the sofa, but you'd like to do something together other than lazing around. Switch on your TV, or grab the iPad and play a game of Best Guess. Get everyone involved, agonise over the questions, discuss the answers, and have fun - together! You can also play Best Guess alone if you choose (but it's far better with friends). 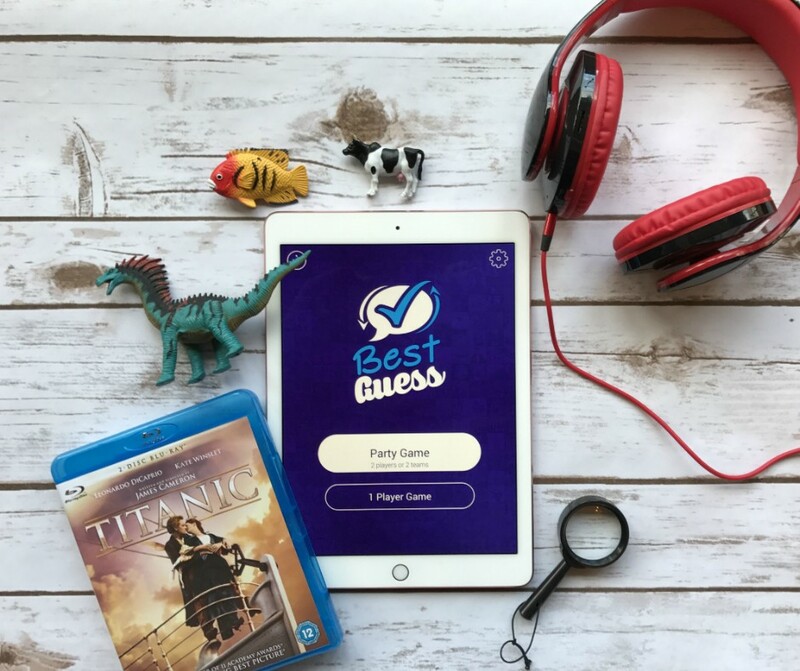 Best Guess is available right now on the iOS App Store, Google Play, and Amazon App Store for £1.49 (or $1.99 if you're across the pond), if you buy it on the Amazon App Store the game will automatically be available on the Fire TV. We've played it on the Fire TV and it works well, it's so easy to hand the remote back and forth for us to answer questions and you're all looking at the same screen. The boys have even played the game together without us, which is a first for a quiz game! 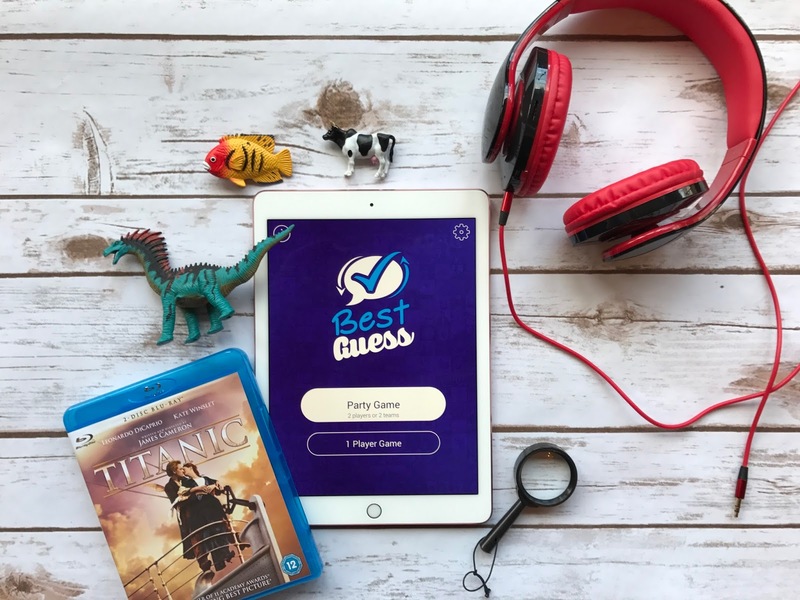 Do you like trivia games and if so which one do you play most? Crash Lab is the Hubby's company and Best Guess is their new game. Definitely! It's such a fun game and the kids can just guess without knowing anything. AND they usually win! Oh that's great - it's always more fun when the little ones want to join in. This looks like fun. I was just talking with my sister earlier about games we can play at Xmas so I think we could give this one a try. Thanks Steph! The family games are so much fun aren't they? Oh what a shame, but you'll get loads of fun when they're old enough!